Seattle is way behind the curve. In this allegedly progressive, allegedly tech-savvy town, people are loath to engage real discussions about the technological foundations of creativity–especially creating work on and for the Internet. That’s a long-standing discussion here at the Star, and one we won’t get into here, but the upshot is that some people make art because they love it and because they want to share it with the world as a matter of free speech and free culture. Creative Commons licenses make that legally possible for artists, yet Seattle artists seem almost completely clueless about the Creative Commons. Many of them are out there making their music gratis but not free to share. Most do not understand there is a difference. One who does understand the difference is Marwood Williams. For the past seven years he has been releasing his bluesy Americana recordings under a Creative Commons Attribution-NonCommercial-NoDerivatives license that gives listeners a chance to try out his music and if they like to share with others. At the same time it has helped him compile an impressive catalog of songs and helped him grow into a confident artist. Seattle Star: You are currently working on some songs for a new album. Can you give us a glimpse into your recording process? 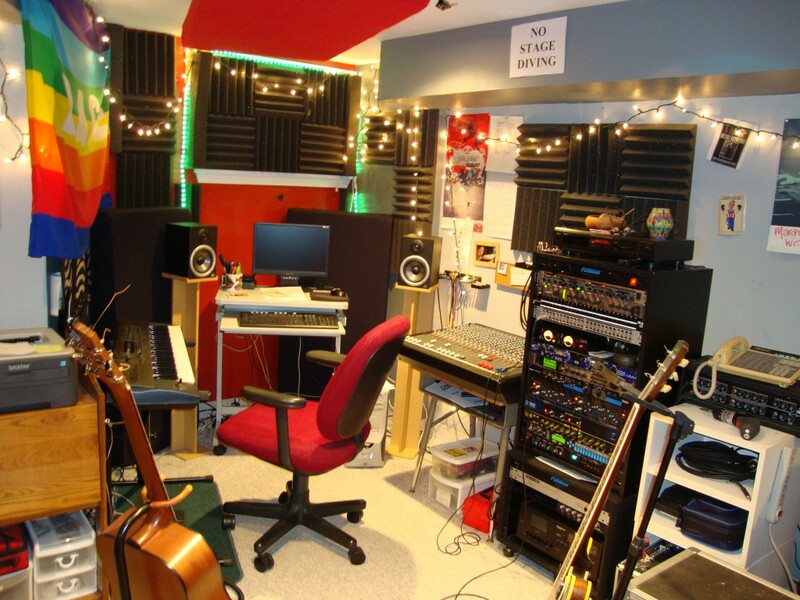 As for process, I have my studio set up in way where I can record my song ideas quickly and easily. Once I have the idea, I will try to expand on it to see if it’s something worth pursuing. From there, my songs start to come to life. I have about fifteen songs in my current batch that are in various stages of production. As I work on them, certain ones start rise to the top. That is, they will be in my final batch of songs. When the process is complete, I hope to end up with about seven songs for my new release. Seattle Star: Your “Marwoood’s Music Vault” tracks are always interesting, because they show you working with much different ideas from what forms your later work. Can you give me some thoughts on what you’ve learned from your early tracks? Marwood Williams: Those older tracks taught me a lot about recording. A lot of that work was trial and error. That is, trying different ideas to see what worked and what didn’t work. I remember feeling overjoyed when I actually put a complete song together. Knowing that I could do this, helped motivate me to press on with my music. Seattle Star: Along that same theme, let’s talk about The Lost Years as a collection. These are pieces from 2004-2005. How did you come to revisit them and decide they would make an album? Marwood Williams: The Lost Years, if I recall, I put out after I released Stuck In A Rut. My motivation was more about doing something with this group of old songs that didn’t seem to have a home. I know there are parts of those recordings that would make me cringe now. But, I have no regrets having them out there on the archive. Seattle Star: You’re better known for your folksy, bluesy sound but “Electric Guitar Interlude” is like pure prog rock, all the way down to the keyboard sound. Where’d that come from? Marwood Williams: Prog rock was big where I grew up. So naturally when I was a teenager learning how to play guitar, those kind of things influenced me. Originally “Electric Guitar Interlude” was a two and a half minute piece I recorded on a 4-track cassette back in the late 80s. The new version, the one from my music vault recording, grew to over six minutes. A lot of the elements, the synths and such were put into the song to fill the time and keep everything flowing. Seattle Star: There are very few instrumentals in your catalog. You seem to reserve them for your interest in multitracking or digital delay–things that are “technical.” What do you find in these experiments that feeds your latest musical ideas? Marwood Williams: There are a couple things about instrumentals. The main thing is plotting out the arrangement and keeping it moving forward in a way to hopefully keep it interesting for the listener. Lately I have been recording live improvisational instrumentals. I really enjoy this because it captures a moment in time that will never happen again. I am drawn more and more to live recording and I have been trying to add elements of this for my newer stuff. Seattle Star: The Lost Years recordings show you stylistically all over the map. By the time you compiled the material for Stuck in a Rut you’ve refined certain things. Your natural humor comes to the fore in the lyrics. The production is much more stripped-down. You’re playing all the instruments and that album, right? Even the tuba on Boris Blues? Marwood Williams: By the time I started working on “Stuck in a Rut,” I felt better about my ability to capture the sounds I was hearing in my head. At that point, I was favoring a more stripped-down approach. I did play all the instruments. Though for “Walk All Over Me” I used computer midi drums and the tuba from “Boris Blues” was played on a Roland keyboard. Seattle Star: There’s nothing on Stuck in a Rut that sounds “electronic” or even digital. How long did it take you to put the album together and how did you do it? Marwood Williams: I think it took me about four months to record all the songs. It was a conscious effort on my part to make a record without having it sound too digital or electronic. I wanted the record to heavily feature acoustic guitar and have a natural sound. Prior to recording the record, I had a productive songwriting period. Because of the simplicity of the song arrangements, it was the easiest of my albums to record. Seattle Star: The latest version of “Electric Guitar Interlude” came out in early 2010. You also made a video for it, using footage from the Internet Archive’s deep repository of public domain and Creative Commons movies. Can you talk a little about how you came up with the idea for a video and the video itself? Marwood Williams: I see video as another avenue for getting your music out into the world. When I started planning to make the video, I decided to take advantage of the Internet Archive’s large selection of public domain content. I remember doing a search on “Space” and coming across that strange video (Way Stations in Space). I lucked out with that particular old film. I didn’t have to do much editing. The images lined up very nicely with my music. Seattle Star: You also got the idea for the Live at Tangled Wire Studios about this time. Your video for “Ain’t Going Back” debuts around this time, but in that video there are no guest musicians. Do you have any plans for videos of your Live at Tangled Wire songs? Marwood Williams: I do have plans for more videos, especially with guest musicians. There are some technical issues I need to work through. I want my videos to look good and I would love to have some moving cameras. The room is small and it would be difficult to tape more than two musicians with the current layout. Once I finish my new batch of songs, I am going to concentrate on making “Live From Tangled Wire” videos a reality. 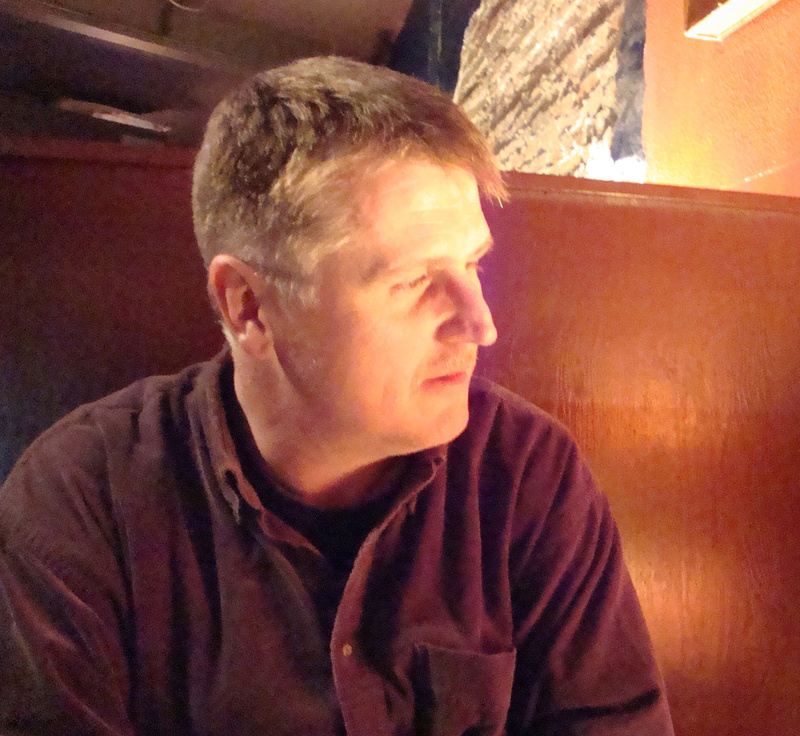 Seattle Star: How did you get involved with Jon Behrens on the Yearly Orbital Band project? That piece is quite unlike anything else in your catalog. Marwood Williams: Jon is an old friend. He’s an incredible filmmaker and he also does some really cool things with sound manipulation. A couple of years back, he gave me some ten-minute “soundscapes” to work with. With one of them, I added some guitar and bass and my talented wife Noel, contributed some alto saxophone. I put it under the moniker of “Yearly Orbital Band.” I hope to do some more soundscapes in the future. I really enjoyed the experience. Seattle Star: Between Stuck in a Rut and Detours and Byways you released a single version of “The Swamp” with David LaVeda on slide guitar as your first Live at Tangled Wire Studios piece that actually has a guest. This song also dates from the late 1980s, right? How has this song changed for you over the years? Marwood Williams: Back in the late 1980s, I envisioned “The Swamp” as more of a full band, rock and roll type of song. 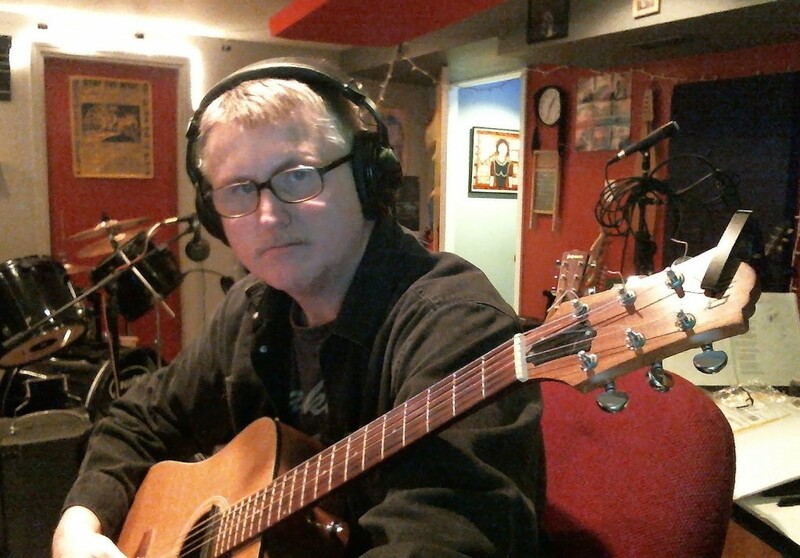 I am very pleased the way it has evolved into a more traditional, folk blues style. I was very lucky to have the services of David LeVeda on slide. He always adds something very nice to my songs. I also like the fact that we recorded it live to 2-track. Seattle Star: It’s your first recorded piece where your deep love of the blues really shows through. The bottleneck slide sound appears, with that Blind Willie Johnson/Furry Lewis via Led Zeppelin sound. The blues remains constantly lurking beneath the surface of your songwriting. After Detours and Byways, which included an excellent bluesy version of “The Swamp,” you released your first version of “Got to Be Some Kind of Way Out of Here” which also draws on the blues and is even more driven by the slide. Also from that time is your cover of Butterfield Blue Band’s “Never Say No” which is a blues, too, but a completely different kind. What prompted your resurgent interest in the blues over that time? Marwood Williams: The blues played an important role in my learning guitar. I agree with Muddy Waters when he said, “The Blues had a baby and they named it rock and roll.” Blues are definitely a part of my music and a part of most modern music. It’s also an honest music. You can’t really fake it. As far as the songs, “Got To Be Some Kind of Way Out of Here” was another older song of mine that was originally written as a rock song. One day, I was playing around with my slide guitar and the blues version just happened. I have trouble now even imagining my old version of the song. I always loved the “urban” mood of the original “Never Say No,” from the Butterfield Blues Band’s East West record. I had Curt West add a muted trumpet motif as a substitute for Paul Butterfield’s harmonica. While we were recording, I enlisted my wife Noel on the sax. She and Curt put together a simple, but enjoyable horn arrangement that really solidified the song. It was also my first experience recording live drums. Thanks to drummer extraordinaire, Dreaddie Girl, the drum track worked very well with the feeling I was hoping to convey. Seattle Star: Which brings me to Waiting for the Rain. It’s definitely my favorite work of yours so far. Your songwriting really seems to have found its voice here. The humor of your early work returns in full force through your lyrics. There are a lot of different sounds and ideas over the album but everything coheres. And it’s really nice to hear you playing off other musicians. Can you tell me about your experience making the album? Marwood Williams: With the exception to the lyrics for “Got To Be Some Kind of Way Out of Here,” all of the songs were written in Seattle. “Killing Time on Broadway,” my Capitol Hill song, was something I wanted to record for several years. I tried recording and arranging different versions of the song, but could never get a satisfying result. Then Ron Carnell (see Ottoman Bigwigs, Sycophant) visited the studio and recorded drums and percussion. Like magic, the song suddenly came alive. Getting that song up and running helped get me moving on my other songs and before too long, I had enough material to release the record. I always appreciate the contributions other musicians make to my songs. They add elements that would have never happened if I was working by myself. So overall, making the record was a positive experience, which I hope to repeat for my next release. Seattle Star: You’ve been using Creative Commons licenses for awhile now. When did you first run across the Creative Commons? Marwood Williams: When I was first contemplating putting my music out into the world, I did research on the various avenues that were available. I didn’t want to use the old model of getting CDs made. It’s too expensive. Unless you’re well known, they’re difficult to sell. Digital distribution made the most sense. While I was researching all of this, I came across the Creative Commons. The more I read about it, the more I liked. Seattle Star: What were some of your thoughts when deciding to use the Creative Commons licenses for your work? Marwood Williams: I really liked the flexibility. You can chose a license that suits the type of work you do and what you’re trying to accomplish. In my case, I chose a “no derivative” and “non-commercial” license. That means that people can freely distribute my work without modifying it. They also cannot use it for commercial purposes. I also like the idea of Creative Commons being something more international. In the internet age–you have to think globally. Seattle Star: Have you found that your use of the Creative Commons made your music more generally accessible to a wider public? Marwood Williams: Without a doubt. It’s difficult to get people to listen to your music if you only have a short clip on Amazon or I-Tunes. With the web, we get so many listening options. So it’s my belief it’s important to get your music out there and see what happens. I have heard from people from as far away as South Africa and New Zealand who like my music. In fact, I recently signed a sub-publishing deal with a distributor in Brazil. I honestly don’t think this would have happened with out a platform like the Creative Commons.